Being a clear winner over the traditional apps, progressive apps come with better support for cross-browser and engaging user experience. 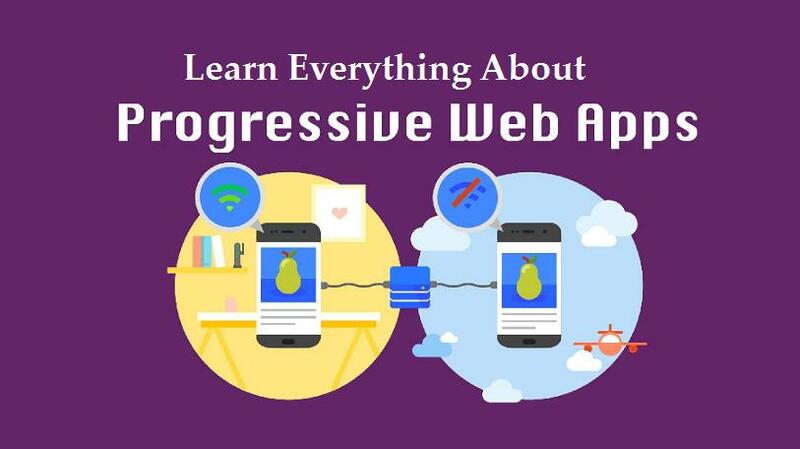 Progressive apps is an interesting and emerging concept that uses modern web capabilities to deliver an app-like user experience. These applications can be the next big thing for the mobile web. Since its inception, progressive web applications have already attracted a lot of attention owing to its ease of development and a well-defined user experience. They are responsive in nature as they fit to desktop, mobile or tablet’s screen size. These applications run on the areas of poor connectivity or even in offline mode. Progressive applications can be installed on the main area of your device, which, in turn, makes it easily available to users. These applications are hosted over HTTPS to prevent man-in-the-middle attacks. Progressive web apps come with zero-installation, zero-friction and are quite easy to share. The power of linking URL’s come along with these kind of applications. Designed on the app shell model, these applications feel like an app to the user with navigation and app-style features. Progressive applications work for every user, regardless of the browser choice. How Progressive web applications contribute to better visitor engagement and increased conversions? Progressive web applications combine best of their app with the broad reach of the web. They are designed to solve the real problems that businesses face by bringing native features to the web. They are designed with an app-shell architecture wherein the app is separated into 2 major components, i.e the shell and the content. The shell comprises UI elements as header, menus and drawers. When the app is cached, the shell should always be saved on the device. This application shell is the secret to good performance on the web. These apps work for faster loading types on all type of content. One of the most notable functionality of progressive web app is a greatly improved app cross-functionality. This calls for the ease in switching between apps and sharing information between the two. Additionally, these apps are much faster and intuitive compared to the other ones. In native applications, the use of deep linking is done to guide the user to specific content within the app. The same works across all apps. In an application like Whatsapp, deep linking directly opens the target app and guides the user directly to the content that was shared. This process also works through the install process both on app store and play store. They are not registered on these stores to manage intent or app links, so these do not support deep linking. Users click on links from channels like email or SMS. These links will be route to the browser even if Progressive web app is installed, thereby resulting in sub-optimal experience. They are usually designed to look and feel like the mobile applications. It allows users to operate in similar settings while having the functionalities of websites with active data access. Just like websites, these can be accessed via URL’s and indexable by search engines. For example: It is easy to find pages on Google and Bing. This can be a huge benefit when compared to mobile applications wherein the internal data is kept internal. These applications can be developed exactly as the current website or mobile app. However, the design will definitely give an idea and let users know they are browsing a progressive app. Progressive web apps can also be integrated into the existing website, app structure or design. Getting registered an app in Windows phone, Google Play or Apple’s app store can be a time-consuming process. The use of progressive web application to push new updates without waiting for approval emerges as a modern feature. While relaunching these apps, users will be able to download new update automatically. The use of push notifications will allow users to know that the update has arrived. Service worker script act as the extra layer between website requests and internet servers. It makes caching any content easier whenever visitor tries to access the PWA enabled page. The information is further saved locally on the device of user. This means that every time a link placed on the website is clicked, the request will pass through service worker script and then based on the rules will go online and ask for a new web page. Similarly, if the user is offline, it is possible to have the service worker served cache from local storage. This allows designing websites that work efficiently well when accessed offline. The combination with an app shell allows serving content to users without any internet connection. This modernizes the web development process entirely. Similar to the other applications in the market, progressive web apps come with both negatives and positives. While there are some websites in which the benefits can outweigh the drawbacks. Browsers that do not support service workers will skip the coding embedded into it and the app starts behaving as a regular web application. Whether you need a progressive web app or not, the answer depends on many factors. It brings a better user experience and can create amazing mobile experiences with lesser app drawbacks.